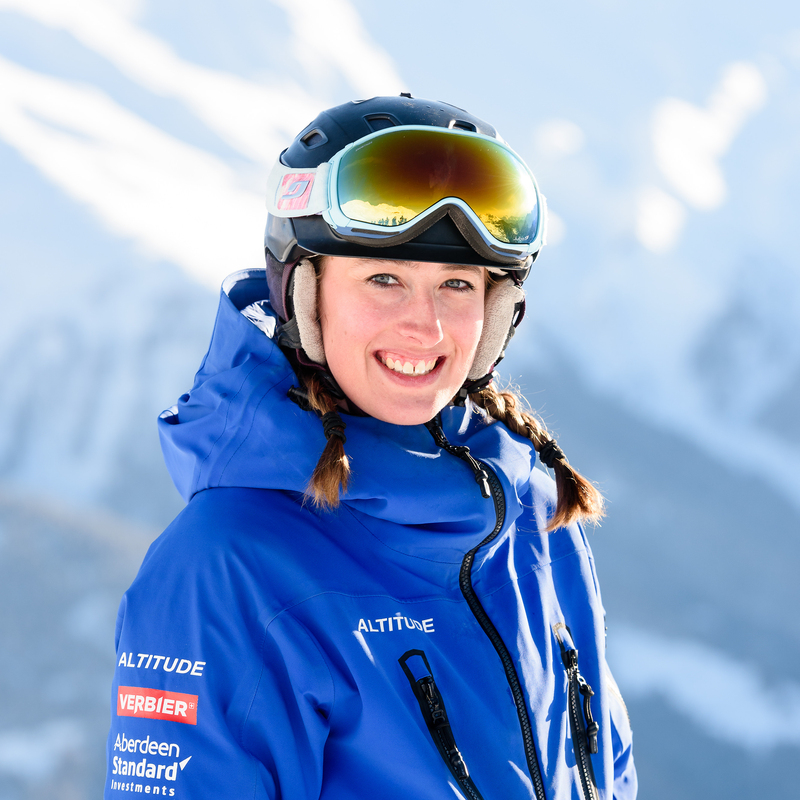 This season, 2017-18, will be Alice’s fourth winter as a ski instructor in Verbier and second season working for Altitude. 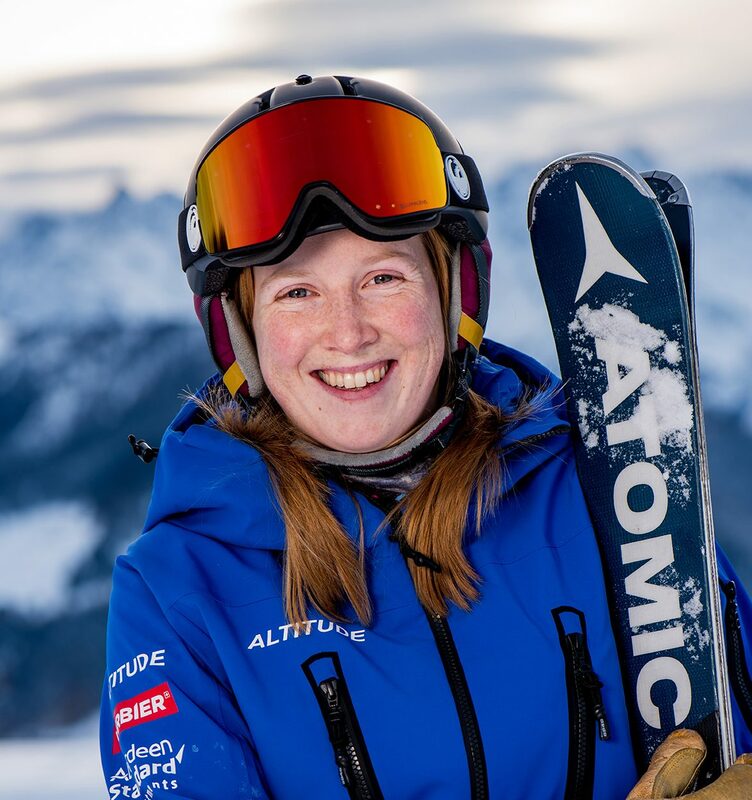 Alice loves working in the mountains helping people to increase their confidence and achieve their individual skiing goals. She also enjoys analysing ski performance; trying to work out what needs to change to make the movement and technique better. During the summer months Alice works as an outdoor instructor in her home county of Dorset, England. When she’s not working Alice loves mountain climbing. This summer she went on a climbing trip to Cornwall and did her first traditional lead climb at Sennen Cove. Traditional climbing is a style of climbing where you place safety gear in the rock as you climb which can make it a little scary so she was really pleased to complete her first lead climb without incident. 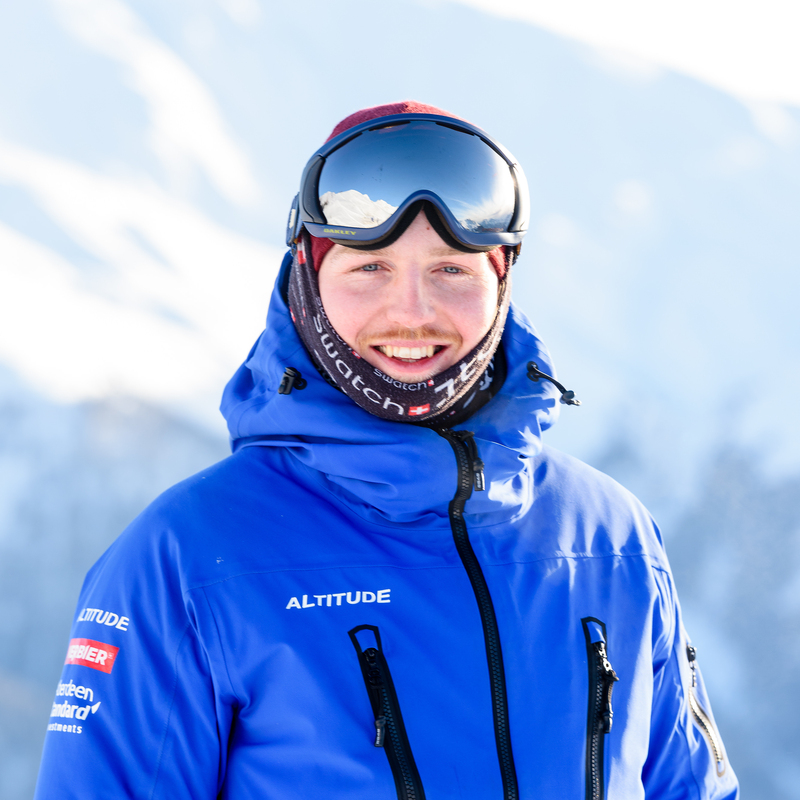 It seem like a small comment but this was the culmination of a week’s work for a very nervous skier, which involved very gradual increases in pace and technical challenge building up to a few runs down the M25 which eventually became a smooth continuous run. 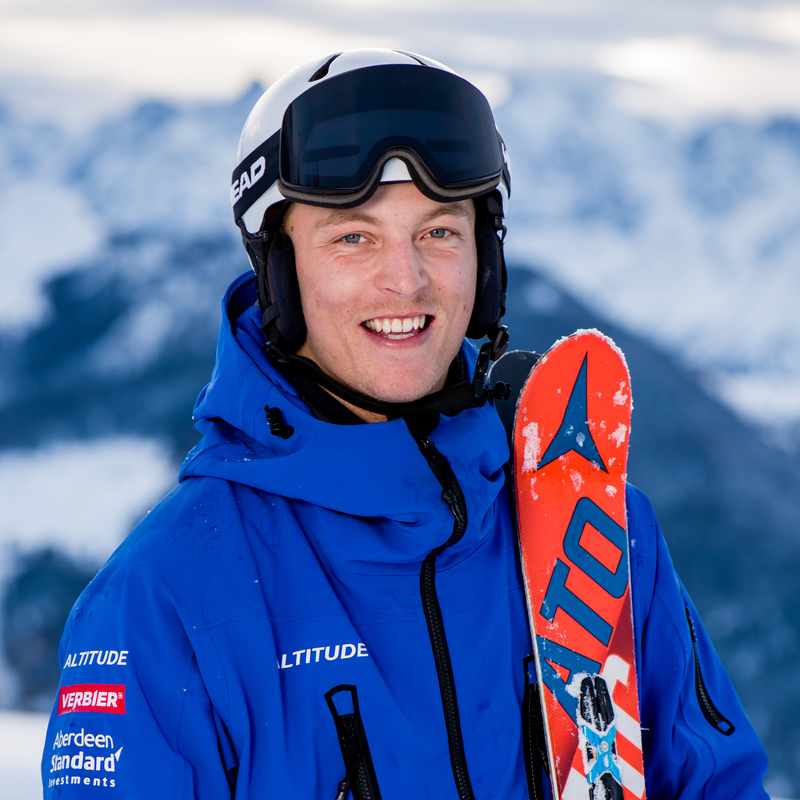 I love the opportunity to work outdoors, and working with a wide variety of people each with their own different skiing goals and experiences. I also enjoy the problem-solving challenge you get when analysing ski performance, trying to work out what needs to change to make the movements better. I went on a climbing trip to Cornwall and did my first Trad lead climb at Sennen Cove. Traditional climbing is a style of climbing where you place safety gear in the rock as you climb which can make it a little scary so I was pleased to complete my first lead climb without incident. Do a proper warm up and cool down, this is something that most people either forget or don’t want to do. I find that a quick heart raiser and some simple dynamic stretches helps wake up my muscles so I feel ready to ski, and a cool down of simple stretches when I get home can help my legs feel much less stiff the next day. Col de Gentianes. When the snow is good its crazy steep, a really long powder run which then over time morphs into huge super challenging mogul field, it also has the excellent quality of being generally less busy than its brother Col de Chassoure (Tortin). The staff team at Altitude were very welcoming last year and I really enjoyed my season working and training with everyone and so hopefully this season will be equally great. Last year I finally skied from the top of Bruson down to Sembrancher, the village down the valley from Le Châble, which was something I had been looking to do for the last four years, and one day last season I got to ski it and it was worth the wait, ridiculously good conditions and an amazing run with some great people.